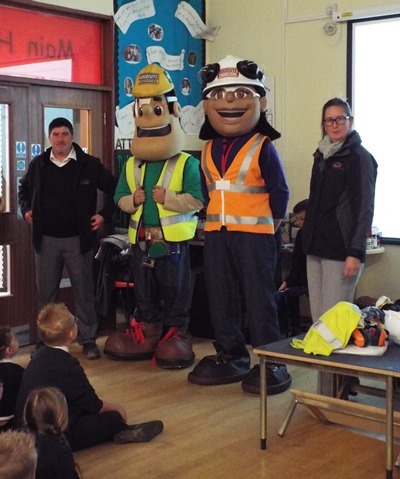 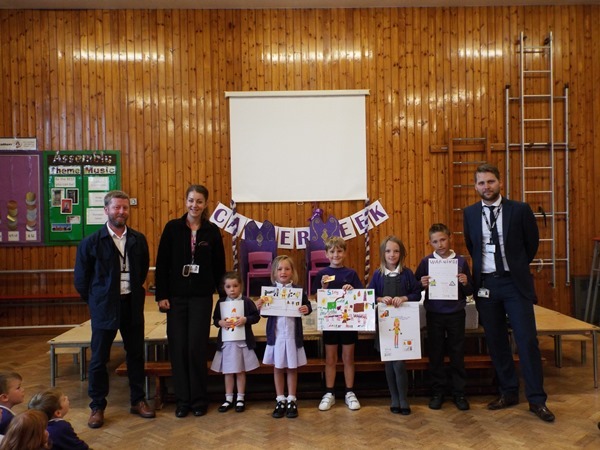 Children at Carlton Primary School learnt a very important lesson about building site safety when WDH visited them last week. 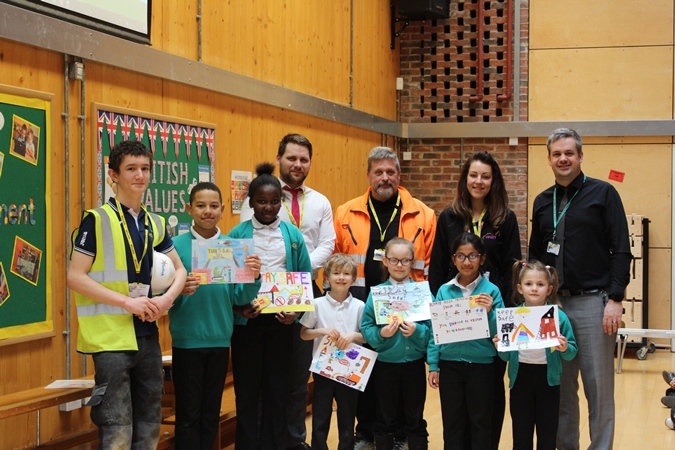 WDH is carrying out extensive refurbishment and improvement works at the nearby Carlton Court Independent Living Scheme, and the children were given a site safety presentation by WDH employees Lee Palmer, Andy Walker and Jane Gwilliam, highlighting the dangers of going on building sites. 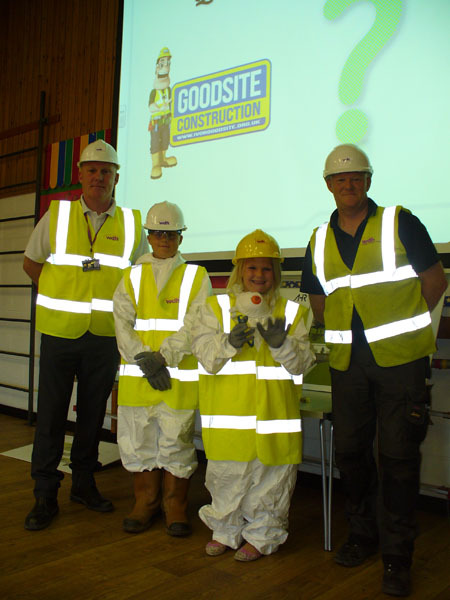 As part of the presentation children were asked to identify safety clothing needed on building site, with nine-year-old Melissa Mason and 11-year-old Ethan Wright volunteering to try on the oversized equipment.